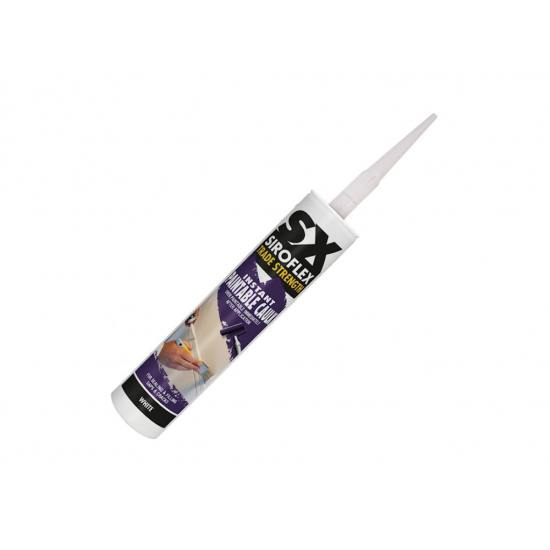 SX Instant Paintable Caulk filler and sealant, over paint-able immediately after application. 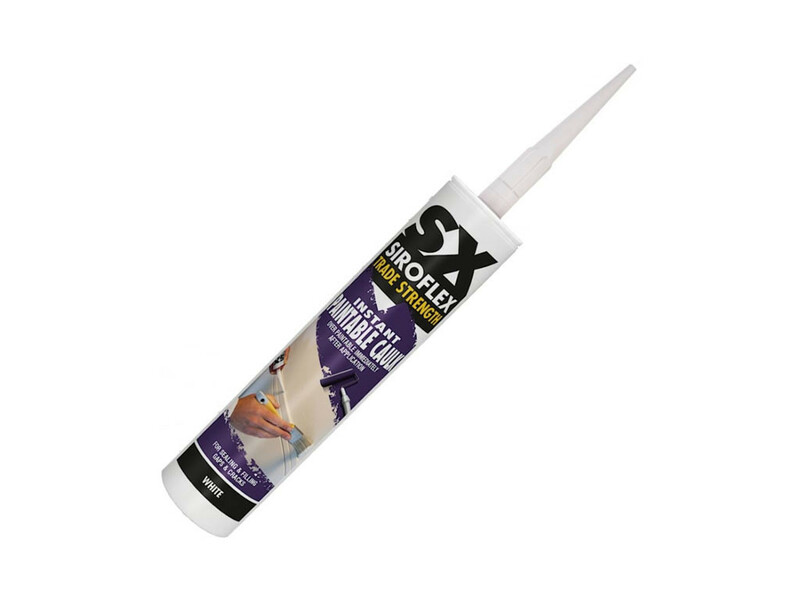 SX Instant Paintable Caulk filler and sealant, over paint-able immediately after application. Flexible, high quality interior acrylic caulk sealant, can be over-painted with water based and synthetic paints immediately after application. Suitable for sealing and filling gaps and cracks where movement can occur, such as those between plaster-work, window and door frames, skirting boards and architraves. Use prior to painting or wall papering to fill cracks to give a professional finish. Large 310ml size cartridge.